On April 13th, Belgian Snapchat users were able to discover an Oreo lens, that was available for only 24 hours. The lens, a first in BeNeLux, was the result of a collaboration between Mondelēz International, Isobar Belgium and Carat Netherlands. It allowed users to overlay Oreos on their faces, with which they could interact through their facial expressions. Users could then share their creations with their friends or add them to their story. Mihaela Maftei, Brand Manager Oreo BeNeLux, about the campaign: “Oreo is a unique, modern and trendy brand, appealing to all biscuit lovers. Snapchat is not only extremely popular, but it also perfectly reflects Oreo's playful image. 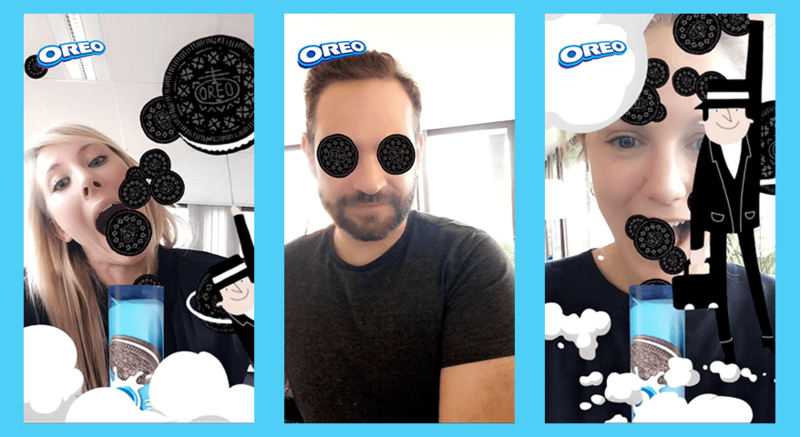 The development of an Oreo lens enabled us to reach our consumers with an original and innovative format, allowing them to have a good time while interacting with the brand”. Oreo jumping on this new local opportunity on Snapchat is not an accident. Margaretha Smeets, Digital Media Planner at Isobar Belgium: "A brand such as Oreo fits perfectly on Snapchat. Lenses are a unique and amusing way of interacting with consumers and is the ideal extension of a media campaign on the platform". Snapchat is currently being used by 158 million people on a daily basis, with over 53m in Europe.